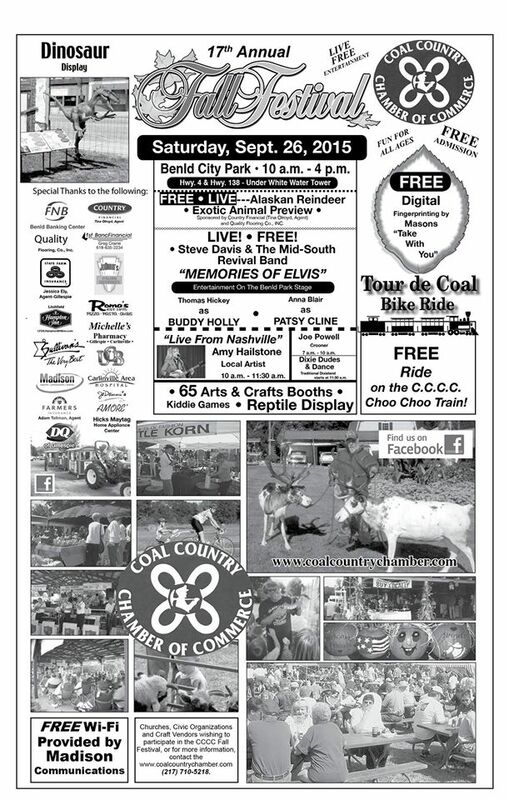 Free entertainment, fall crafts and merchandise, food vendors, a free petting zoo, children’s games, and Chamber member participation will be highlights of the Coal Country Chamber of Commerce 17th annual Fall Festival from 10 a.m. to 4 p.m. on Saturday, September 26, at the Benld City Park. The Tenth Anniversary Tour de Coal bike ride will also be held in conjunction with the festival starting with a 6:30 a.m. to 9 a.m. registration at the Benld City Hall/Civic Center. While the festival officially opens at 10 a.m. the free entertainment starts at 7:00 with Joe Powell serenading the many crafters, food vendors, and local business people who are setting up their booths. Powell’s performance is available to anyone who wants to sit in the entertainment pavilion and enjoy the peaceful early morning. Mr. Powell sings ballads and country songs and has a great whistling program. At this early morning time he can be heard throughout the park. 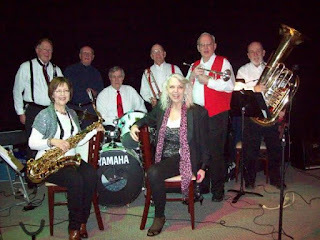 At 10:00 until 11:30 a.m., the Festival is happy and proud to be able to present, “live from Nashville,” a young lady who grew up in Gillespie and comes from a family of six generations of musicians: Amy Hailstone. Amy is a “singer, songwriter, producer, guitarist, and multiinstrumentalist. Blessed with a big vocal range, this powerhouse rock singer is also clearly influenced by pop, soul, and blues. 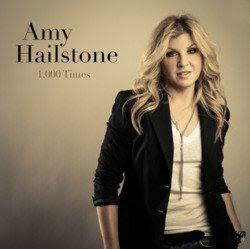 Amy’s music is a culmination of a lifelong love affair with rock and pop music, guitars, and a driving backbeat.” (from amyhailstone.com) She can be followed on Twitter, @AmyHailstone, on Facebook, iTunes, and on her website amyhailstone.com. Steve Davis in “Memories of Elvis” with his friends Anna Blair as Patsy Cline and Thomas Hickey as Buddy Holly will be the afternoon’s entertainment from 1 to 4 p.m. These three artists bring us the sounds of the 50’s and the 60’s when these classic entertainers brought rock and roll to millions. 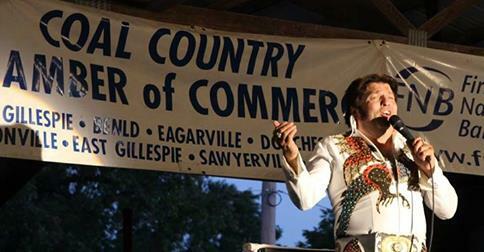 Davis, who is well known to the audiences in the CCCC area, does a performance that is the result of exhaustive research to give the Elvis fan an authentic experience. Anna Blair brings enthusiasm to her role as Patsy Cline, and Thomas Hickey brings the songs and sound of the beloved Buddy Holly to our stage. Steve Davis can now be followed on Facebook and on his web site www.memoriesfelvis.com. Dancing is encouraged at all times at the pavilion where the stage is! 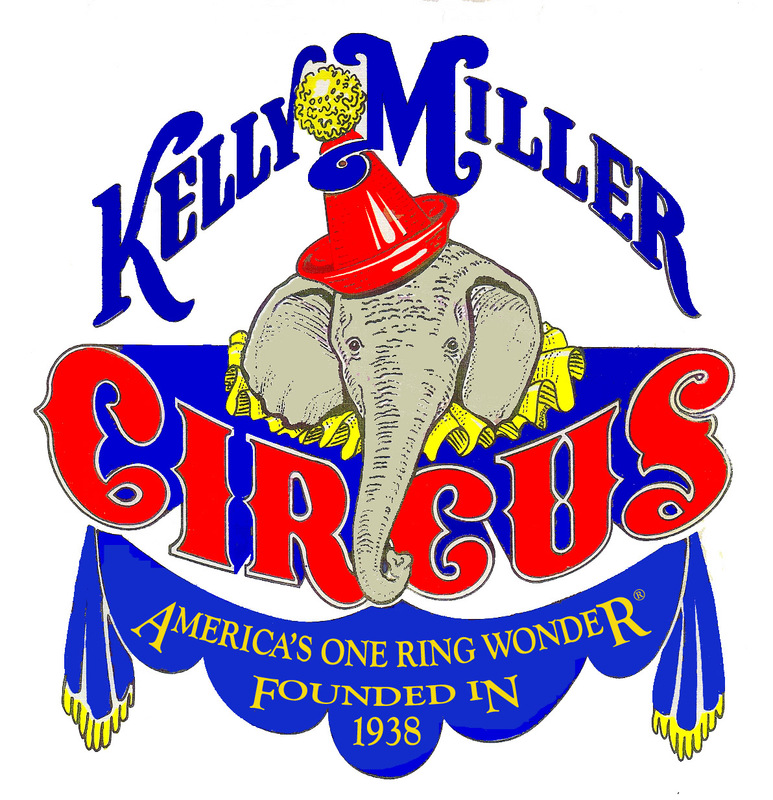 “That is 8 hours of first class entertainment that is free for all who choose to take part,” said Mickey Robinson, CCCC Executive Director. 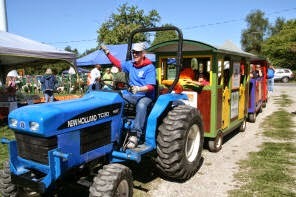 “We are trying to fulfill the Chamber goal of bringing people from outside the local Community District 7 area to our event that is family oriented and designed to be inexpensive fun for all ages.” Robinson said visitors who attend the Fall Festival should bring lawn chairs with them in order to sit and enjoy the live, free music. 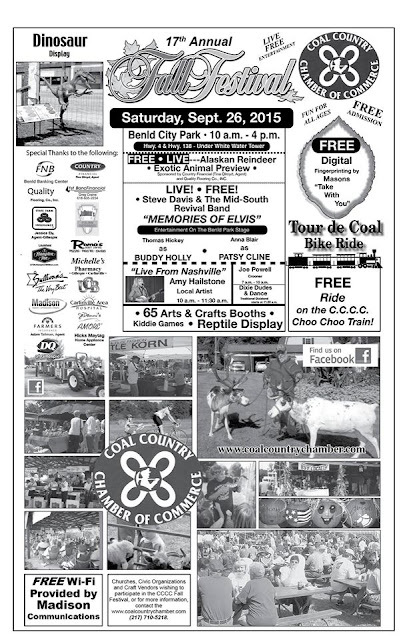 The Fall Festival and Tour de Coal are sponsored by the Coal Country Chamber of Commerce. Specific businesses that have donated generous amounts of financial support and/or volunteer help throughout the year leading up to this events are: 1st BancFinancial, Greg Craine, Agent; Carlinville Area Hospital; Country Financial, Tina Olroyd, Agent; Drew Ford, Inc.; FNB, Benld Banking Center; Furniture Rescue of Gillespie; Gina Guicciardo, CPA; Hampton Inn of Litchfield; Hebenstreit Apartments of Benld; JoDanni’s Amore; Macoupin County Journal; Madison Communications; Michelle’s Pharmacy; Quality Flooring; Reid’s Electric Service and Heating & Air Conditioning; Roma’s Pizza; State Farm Insurance, Jessica Ely, Agent; Sullivan Drug; UCB, Gillespie Banking Center; WSMI and WAOX Radio. If anyone still wants to have vendor or exhibitor space or to ride in the Tour de Coal, they can register by printing and mailing this form, Active.com, emailing mrer@madisontelco.com or calling 217-710-5218.